It's apparent from Paul Harfleet's debut that his picture book - graphic novel hybrid Pansy Boy contains a story that's very near and dear to his heart. It's a book where the cover tells you nothing and everything all at once about the story you are about to read, and it hints at the real-world impact of the events held within. 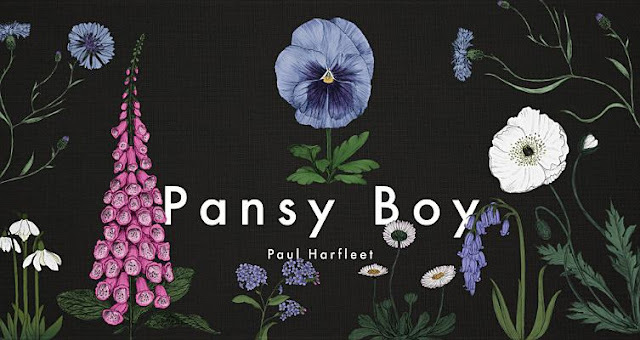 I don't want to give too much away––I'll let Paul do that!––but it was absolutely fascinating to chat with Paul and learn about the origins of The Pansy Project and how Pansy Boy acts as a platform for discussing the nuances of homophobia and bullying. I hope you learn as much as I did! A young boy tackles homophobia in school by planting pansies at the site of homophobic attacks, taking strength from the flowers he loves. 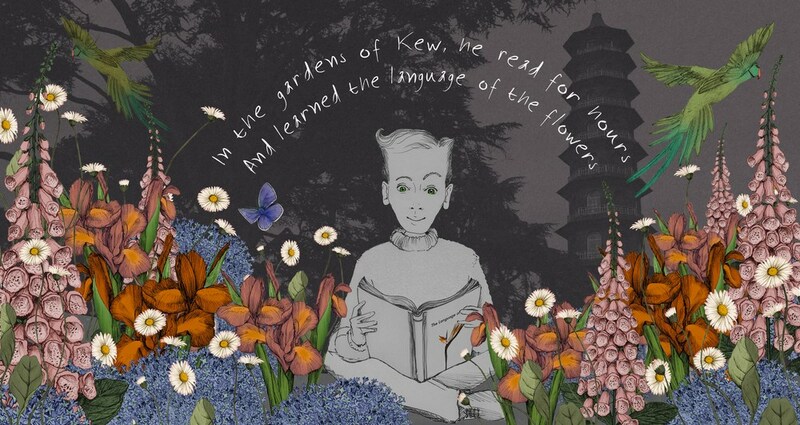 The power of his actions empowers his school to value what is delicate and different. LTPB: This is a very personal debut. 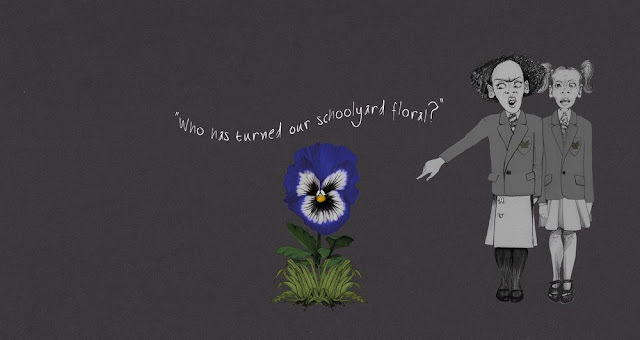 What was the impetus for creating Pansy Boy? How long did you work on it before you decided it was ready to submit? PH: The whole book actually came to me in a dream. I’d been joking with friends the night before about writing a book, the next morning I woke up, and it was all there. I simply had to make it, I was very naïve about how complex it would be but charged on regardless. The book fell out of me in an intuitive way, both writing and images simultaneously. 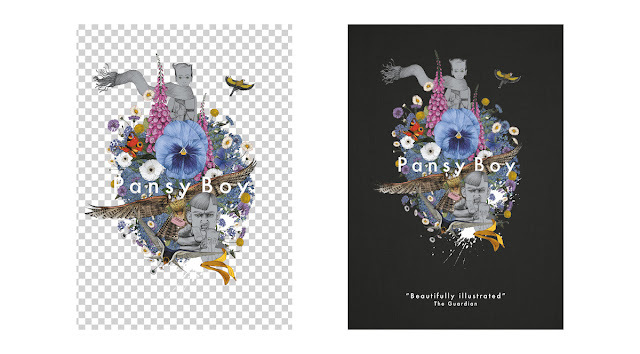 I spent hours and hours ‘finding’ Pansy Boy the visual character, as I had seen him in my dream. I immediately realised how personal the book was going to be, it felt quite emotional from the beginning. I often cried as I made the book––I was mining my own experiences, I guess it was very cathartic. 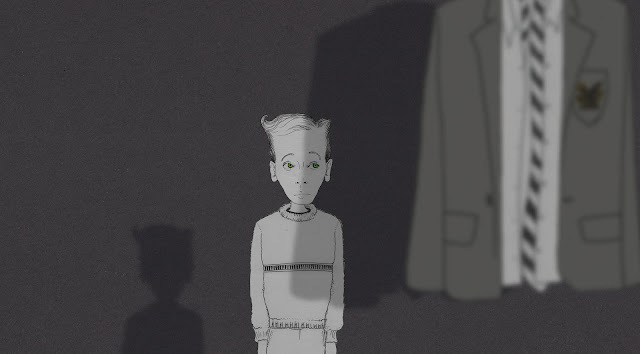 It wasn’t until I made the book that I realised how my own experience of school bullying had impacted me. I worked on the book for four years before it was published, a lot of that was removing and perfecting drawings and working on the layout. As a day job I create documents so I thought I’d be able to create a book easily. It was not easy. At all. I was incredibly lucky to find a publisher. Martin Goodman from Barbican Press had seen an article The Guardian had written about my search for a publisher. 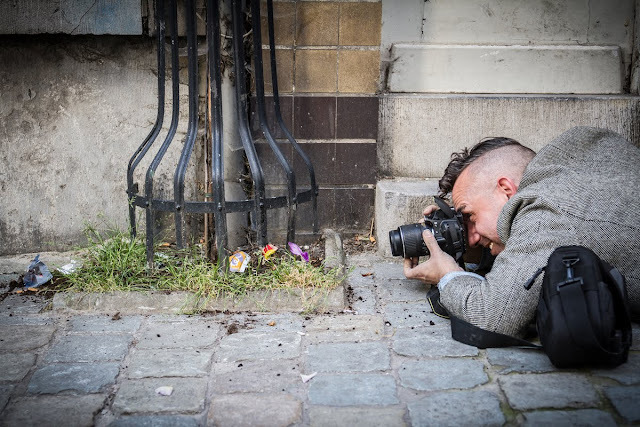 Amazingly he had seen one of my pansies in the street years before and guessed what The Pansy Project was, simply from the meaning and symbolism of the pansy. He got in touch, we met and it just worked. Martin was instrumental in helping get the book to print. He became the editor and publisher. He helped me perfect what was actually quite a rambling story and helped me edit out some of the illustrations and add other essential ones. 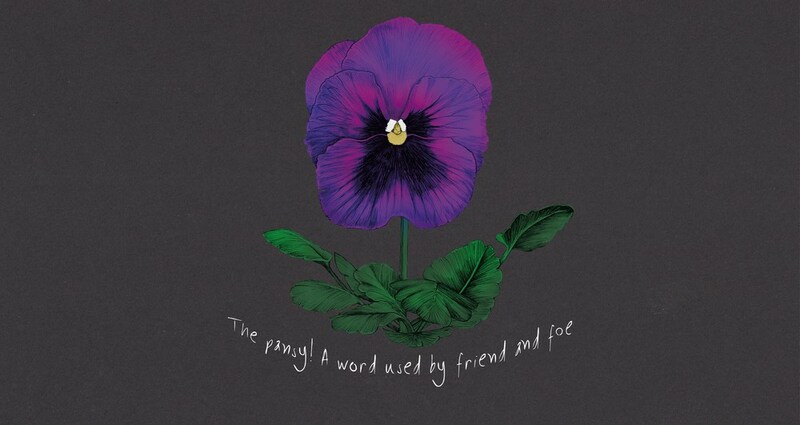 He was very keen that Pansy Boy was in peril as impetus for the creation of what is effectively The Pansy Project. LTPB: What kind of research did you do (factually and visually) for Pansy Boy? How did you mix in the realities of your research with your own unique art style? 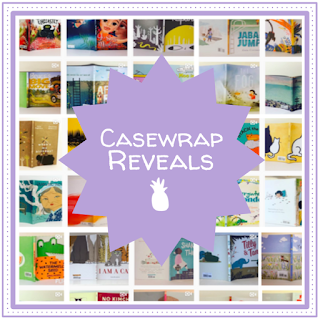 PH: After initially just beginning to work on the book I quickly realised I was vastly out of my depth and quickly started buying all the picture books I liked the look of. 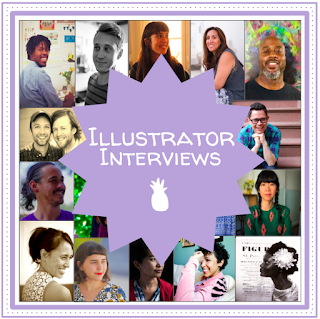 I especially liked Stina by Lani Yamamoto, and was very interested in how Oliver Jeffers combined his visual art practice with picture book making. As an artist I knew I’d be able to draw what I needed and just drew it. It was a very intuitive process. 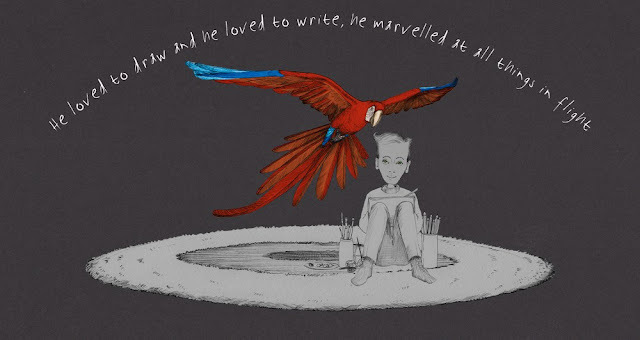 As the story suggests, I am the boy who loved to draw birds and was keen for the birds and flowers to have a realism that contrasted with the quiet child-like style of the characters. I also realised that some of the ‘rules’ like pagination and format would be thrown out the window. It’s longer than most picture books and the addition of the field notes at the end was really significant. 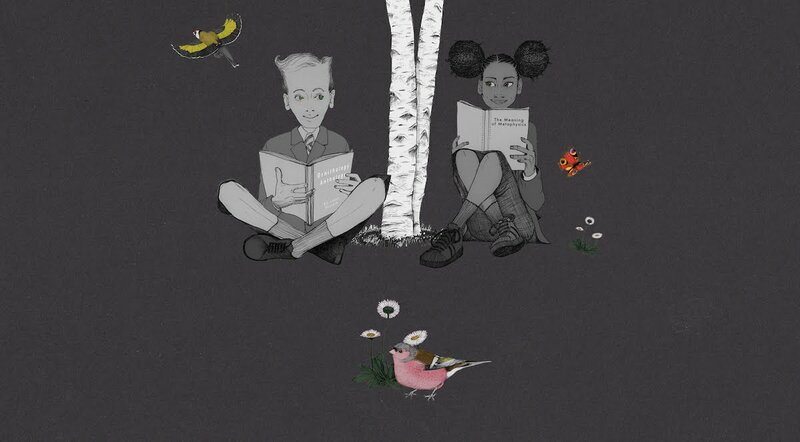 I loved books on birds when I was young and thought it would be lovely to have the names of the birds and flowers at the back of the book. I would have loved that at age seven. I was very lucky with my publisher, he allowed me complete creative freedom. This feels great now, though I think it has made the book quite a difficult sell. I now realise that children’s publishing is quite conventional. This continues to surprise me. LTPB: Can you talk a little bit about how you created the custom fonts in this book? PH: I was incredibly lucky with the font. 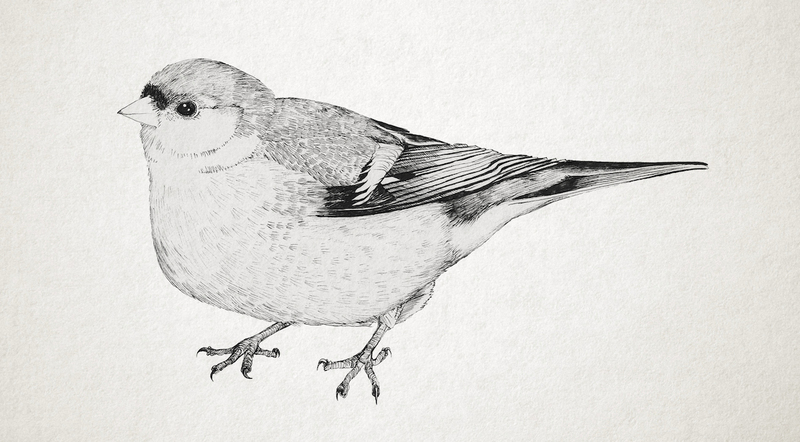 It’s based on my own handwriting and was created for a documentary made about my work in France (Les Pensees de Paul). 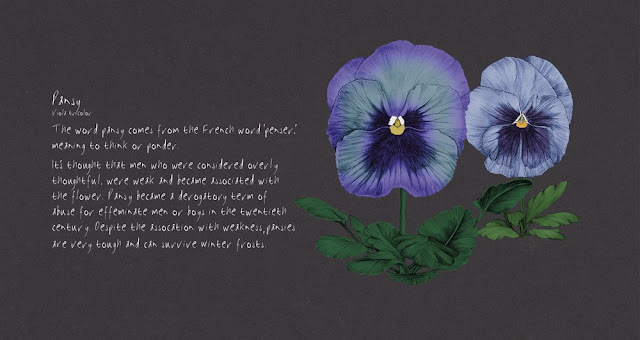 Bangumi, the production designers created what is now called the ‘Pansy Project’ font so they could name each pansy I’d planted around France on screen. The designer kindly gave me the file so I would be able to use it for the book. It was pretty basic, but I was able to edit some of the formatting as it is my handwriting. LTPB: Tell me about The Pansy Project. PH: The Pansy Project is an ongoing artwork that I created in 2005. I plant pansies at the site of homophobia, name them after the abuse then post the pictures I take on my website thepansyproject.com or exhibit the pictures in galleries. It’s been a labour of love over the last 13 years. I’ve planted over 300 individual pansies all over the world. Most recently in Lawrence, Kansas and in Washington D.C. 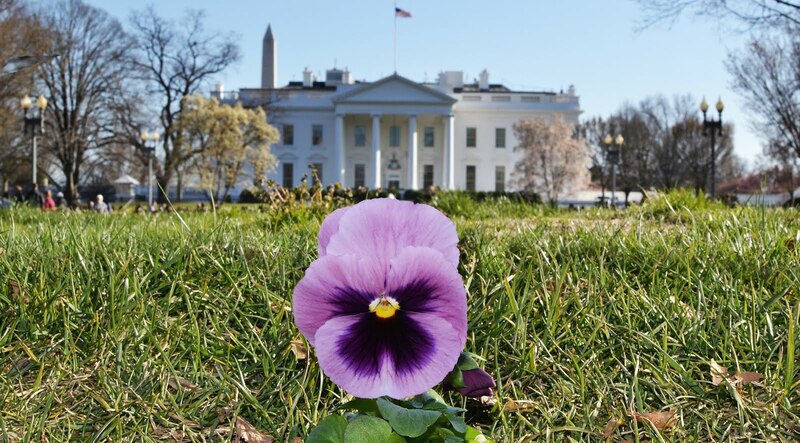 I even planted one at the White House. Pansy Boy tells the fictionalised origin story of the project. 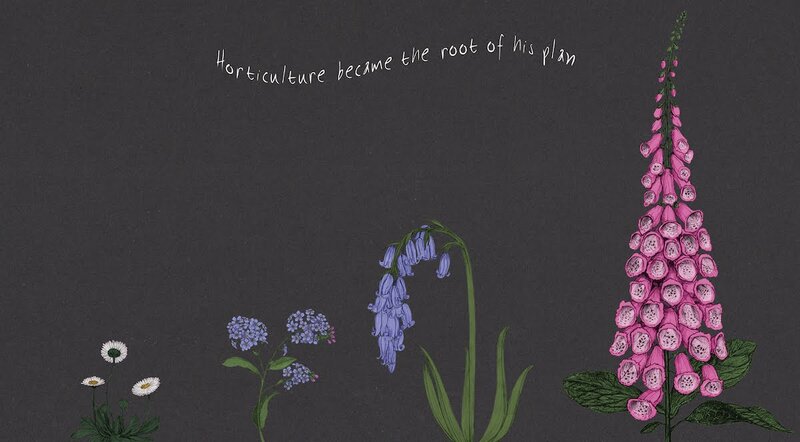 When the book ends, it’s revealed that someone (me) has in fact planted pansies at sites of homophobia. This, for me, is vital for the impact of the book and why I think it works well on so many levels (even if I do say so myself). PH: To create the illustrations I drew each element by hand on an A4 page, I then scanned the drawings into my computer. 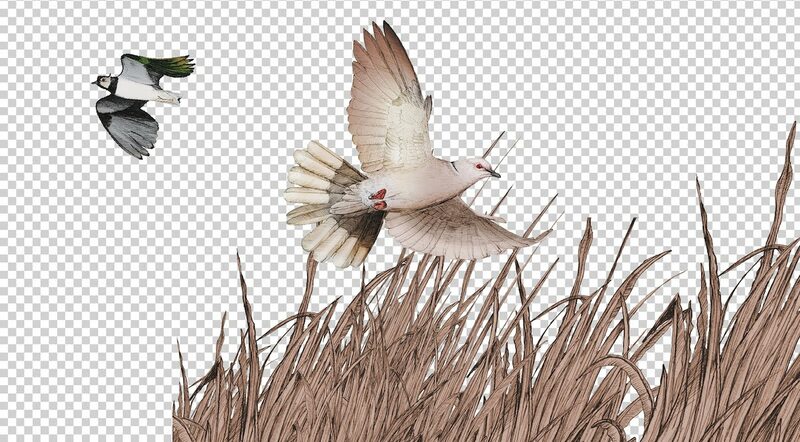 With Photoshop I coloured them and cut them out. This enabled me to edit the lay out and format of each page until it was ‘perfect.’ I drew about 200 individual drawings, sometimes I was able to duplicate them, which helped with fields as it’s only a couple of drawings of clumps of grass duplicated. 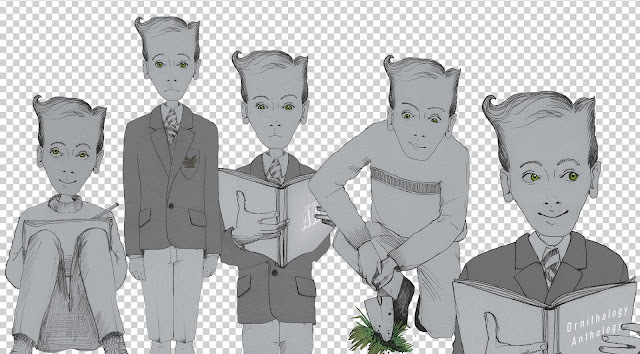 This process works well with creating other content with the same illustrations though the endless editing and perfecting of each page did almost drive me mad. Having learned so much from the whole process I would on balance use the same process again. 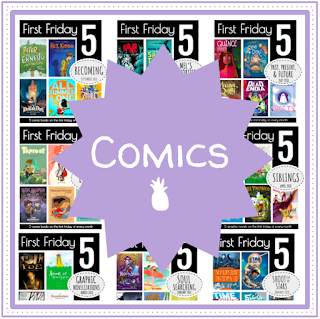 I wrote, illustrated and did all of the layout. I was the one that sent it directly to the printer. From what I’ve heard this is unusual, but suits my apparent need for absolute control. The book has taken me on an amazing journey. What has been incredible is that I have been able to visit schools and talk about Pansy Boy and The Pansy Project. 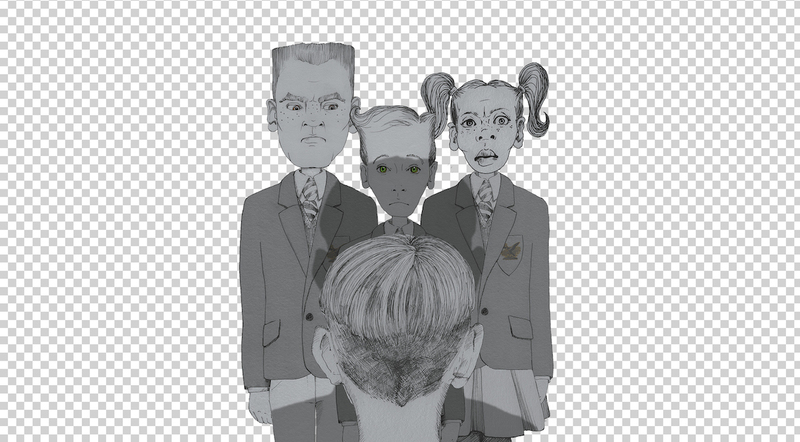 I’m just beginning that process, and I’m working with Pop Up Projects taking the book to schools around the country. 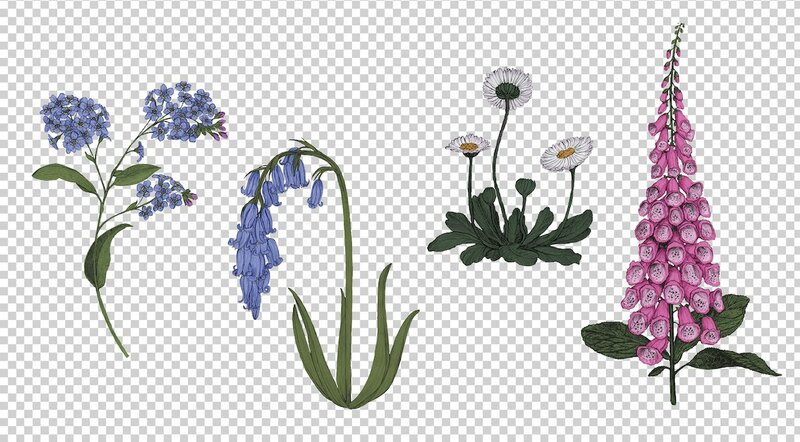 I’m also working on the everyday management of The Pansy Project, which involves organising future trips, editing footage from my travels and managing social media content. This is on top of working four days a week in an office––I live in London after all, so I need to pay the rent. I’d love to write the second book, and I have a great idea for the sequel, though until I can find the time and money it’s on the back burner. 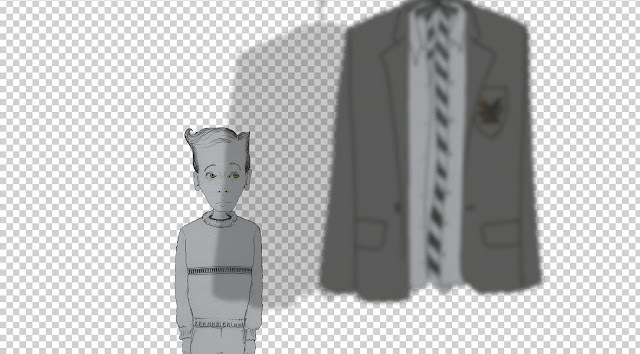 I’d also like to create an animated film of the book, this is in the early stage of production. My first answer as an artist is that I’d have to do it myself. Though If I could have anyone illustrate my autobiographical picture book it might Francis Bacon. His use of two-dimensional space would be incredible in a picture book form. Though I doubt it would be very child-friendly. 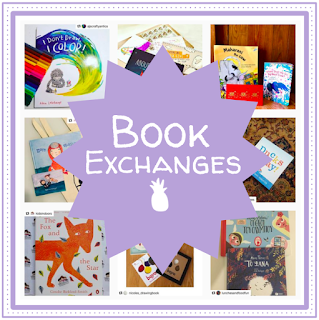 Though I love picture books as an adult too, I still buy them all the time. 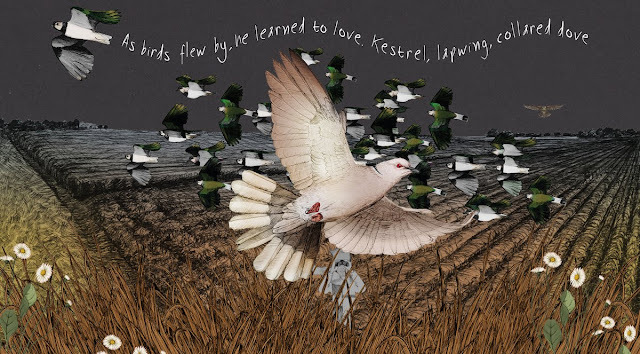 My current favourite is The Lost Words which challenges the format in a lovely gentle way. 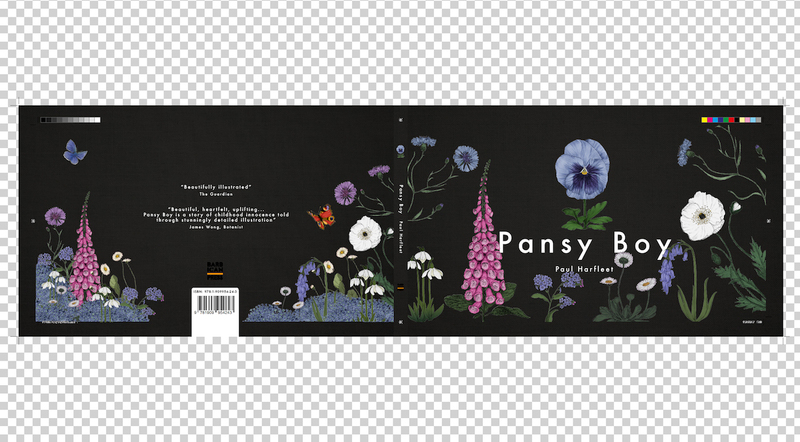 Thank you so much to Paul for answering my questions about his debut and his ongoing work with The Pansy Project. Pansy Boy published from Barbican Press in April! 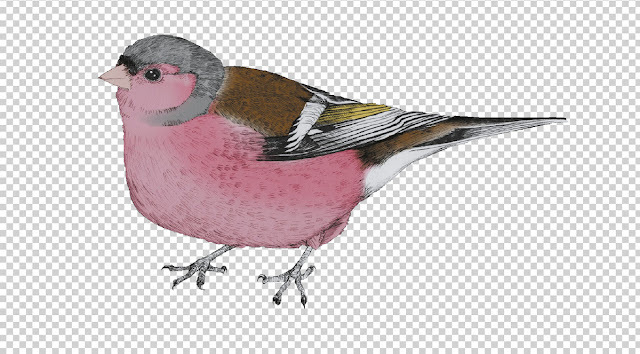 Special thanks to Paul and Barbican Press for use of these images!